Recessed Nobiled LED Strip creates a guiding light for the stairwells. 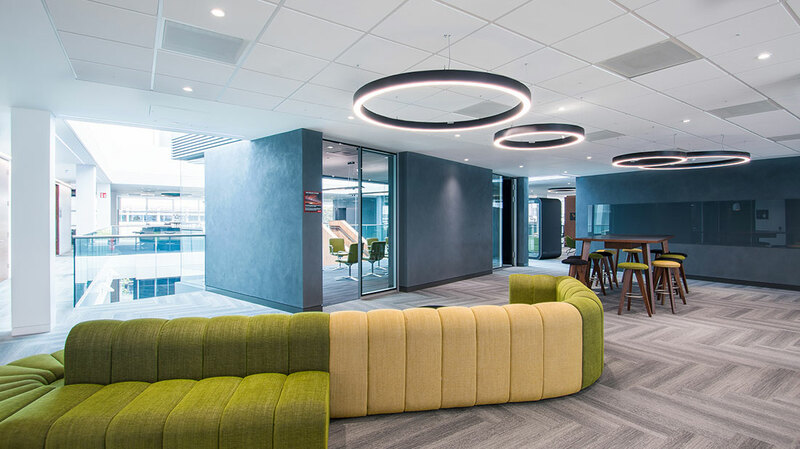 Roxo Concept O pendants are the main feature throughout the Collaboration areas. 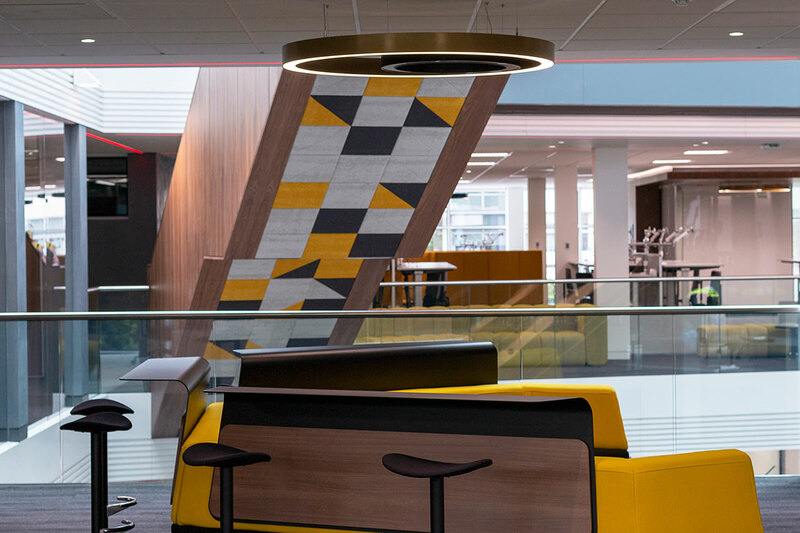 The Collaboration areas are defined by the combination of Roxo Concept O and surface mounted fixtures. 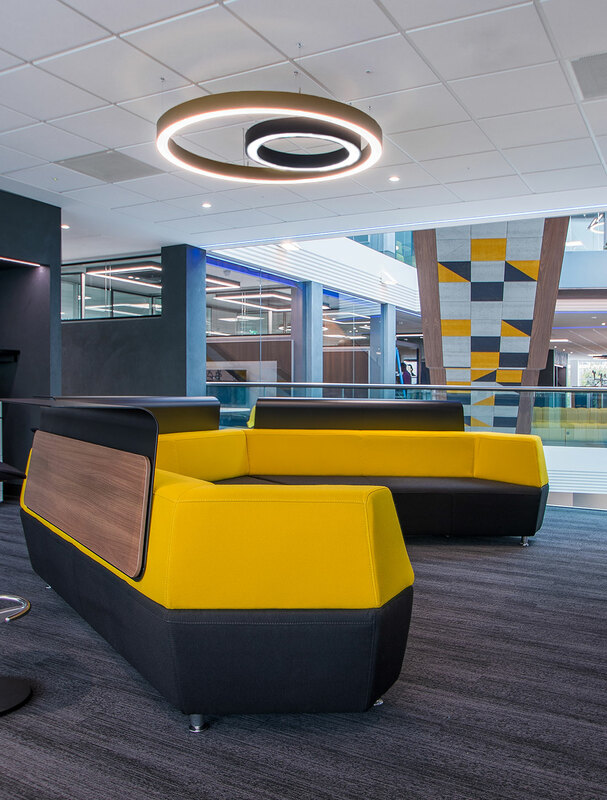 Individual Roxo Concept O pendants compliment the colourful seating areas. Another view of the individual use of Roxo Concept O pendants. 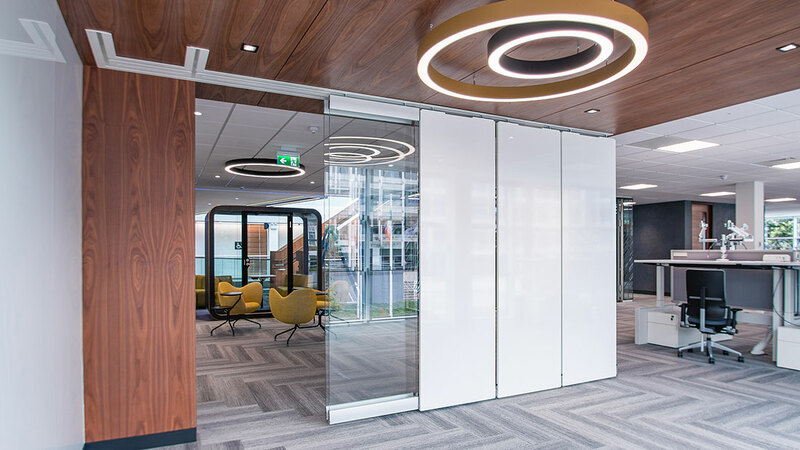 Roxo Reba created in bespoke rectangular shapes are used to define huddle rooms. 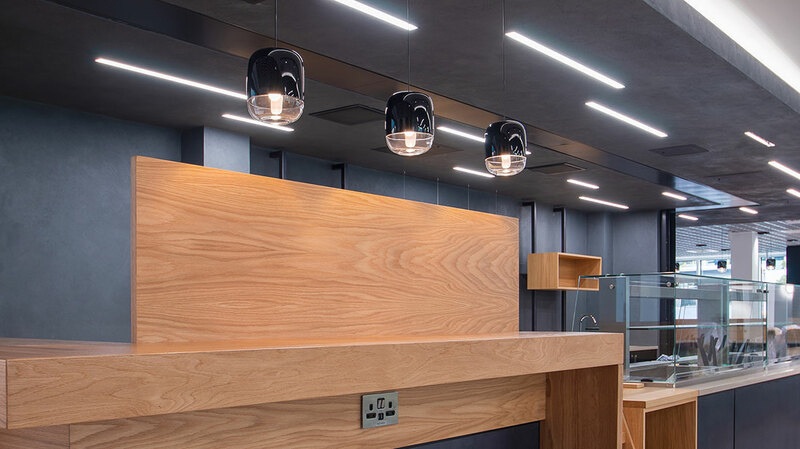 Defining space with Roxo Concept O pendants. 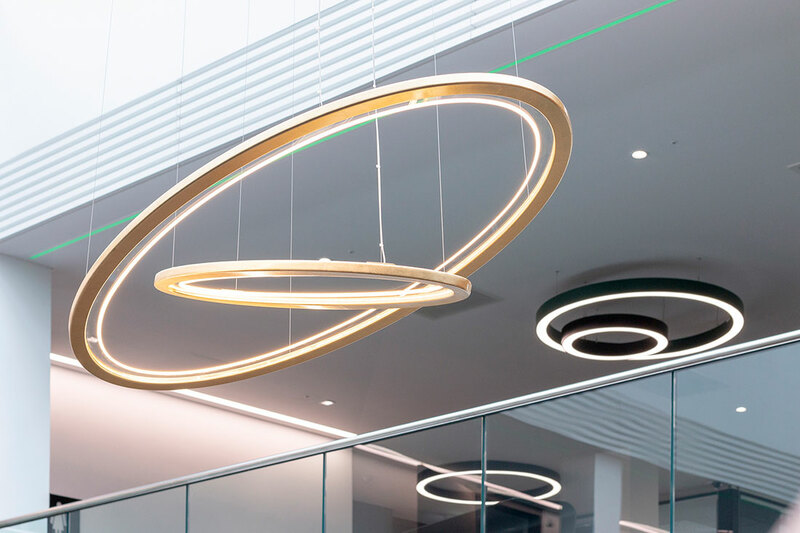 Florian Free pendants create a stunning feature in the Atrium. Roxo Concept O creating a centre point. Deltalight Finnline floating in the Black Box meeting rooms. Regent Slash fittings create a feature in the seating area of the restaurant. Prandina Gong pendants provide a decorative feel. A mixture of Regent Slash and Prandina Gong fittings illuminate the serving area in the restaurant. Regent Dimes with their square optic led technology spreads light evenly and consistently around these workspaces. 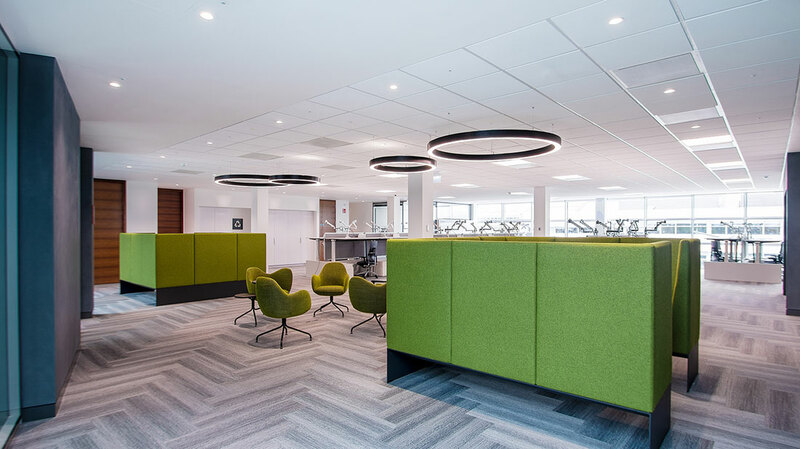 Orbit Look Out downlights create pools of light throughout the Gym. 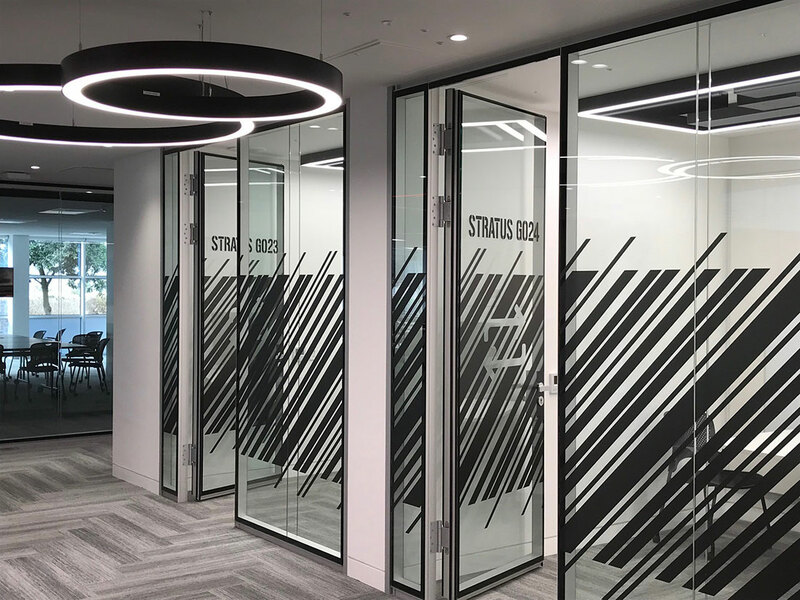 The reflections from Roxo Concept O fittings run through the whole building. Oracle Block A is a unique space that was designed with a completely different concept using dark colours throughout. 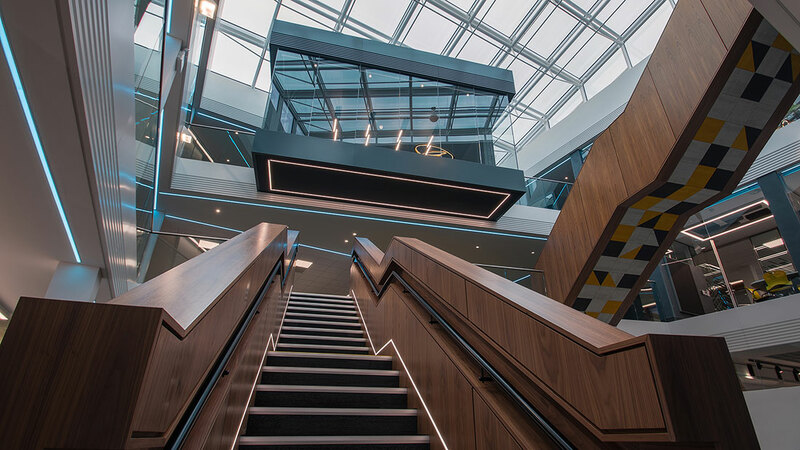 This is in complete contrast to Oracle’s previous offices that were centred around light, bright spaces. This proved quite challenging. 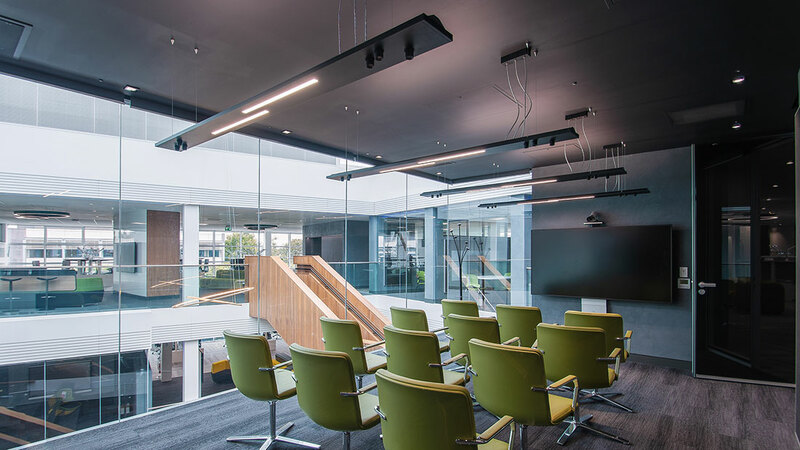 The lighting is used throughout to define work-spaces through style and colour. 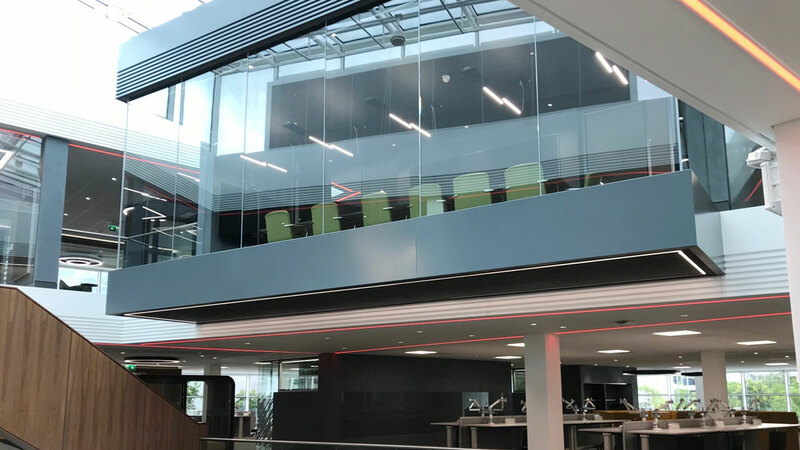 The general open plan work-spaces follow through Oracle’s defined light, bright, clean environment. 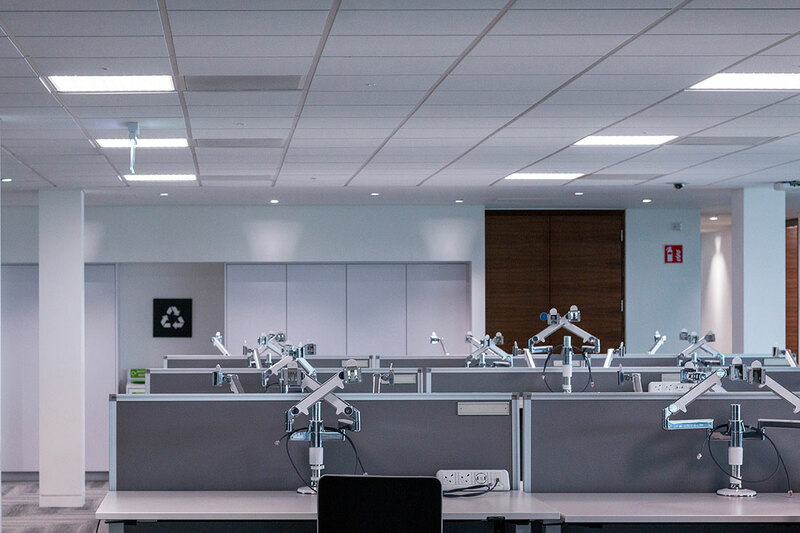 The use of Regent Dimes with their square optic led technology spreads light evenly and consistently around these work-spaces and are fully controlled on the Enlighted system using daylight and occupancy to save energy. This is the case for all fittings throughout this building. 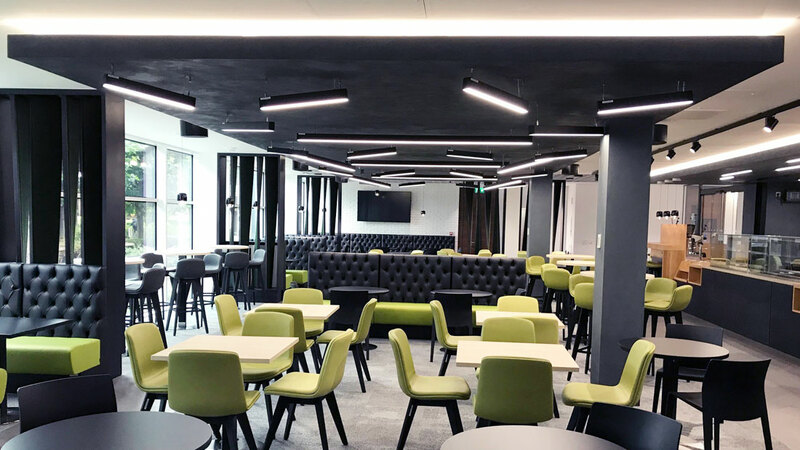 Roxo Concept O pendants and surface mounted fixtures are used in different colours to define Collaboration areas and determine which floor you are on making it a lot easier to orient yourself around the building. 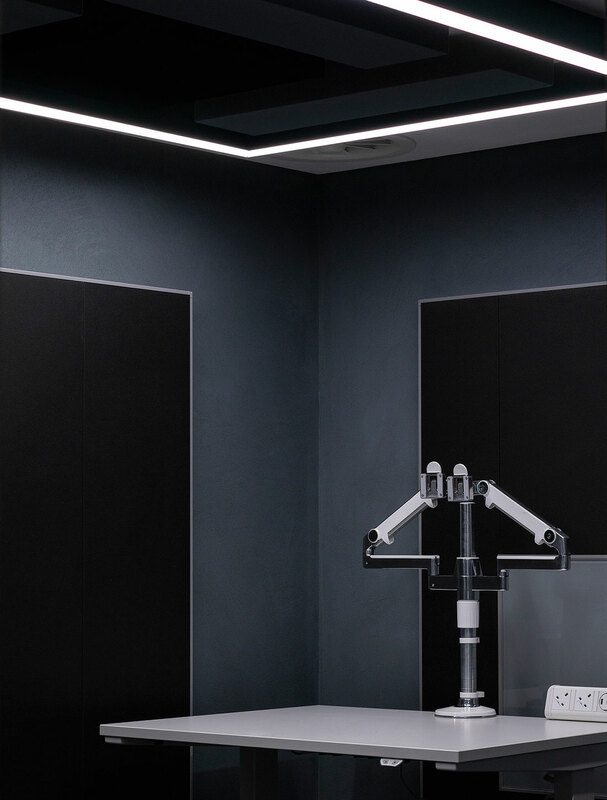 Roxo Reba created in bespoke rectangular shapes are used to define huddle rooms, these fittings encase custom made acoustic panels creating a space where one can huddle privately or have conference calls without interference. The restaurant uses a mixture of fixtures to create a unique relaxing, homely downtime atmosphere. 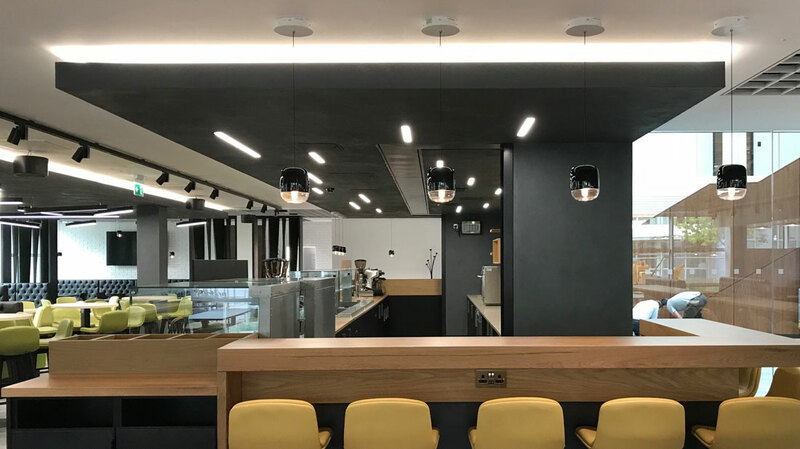 Regent Slash, Concord Beacon spotlights and Orbit Look Out are used throughout for general lighting, whereas a mixture of pendants, Prandina Gong Mini, Deltalight Nyx and Husk are used to define seating areas and create that decorative homely feel giving warmth and comfort. 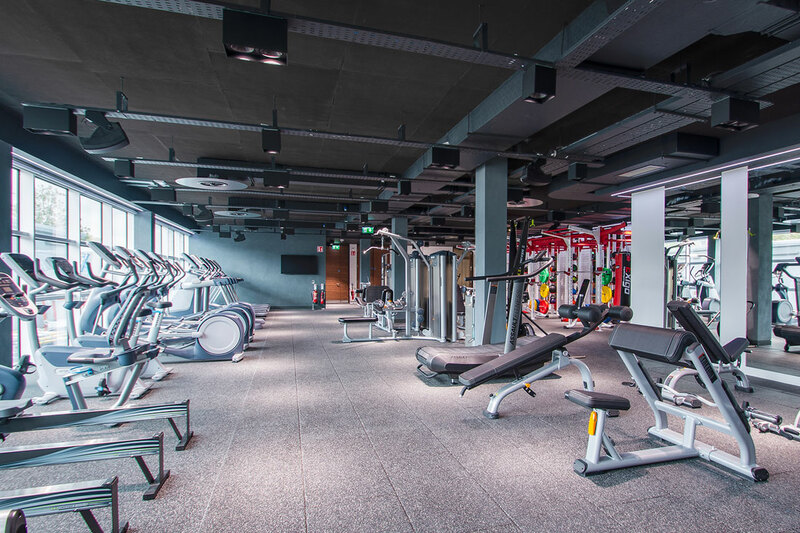 The Gym is designed to give a dark warehouse feel but yet is inviting with the use of Orbit Look Out surface mounted down-lights creating pools of light throughout. 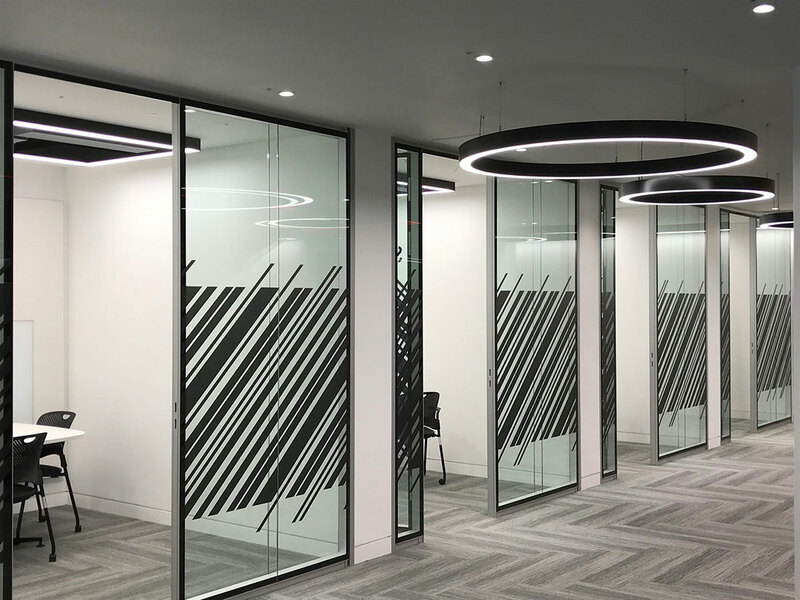 Deltalight Femtoline linear recessed strip lighting is used around the perimeter of the room in RGBW creating a bit of interest and colour. 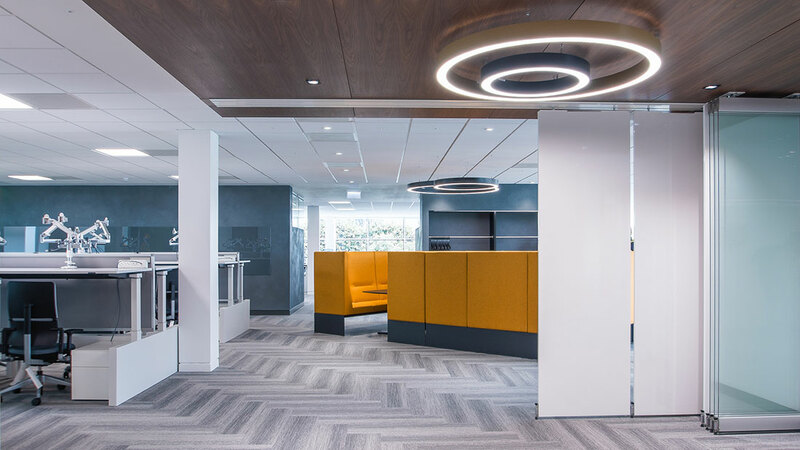 Deltalight Finnline incorporating Midispy spotlights with crisp sleek lines of light are designed to almost float in areas which are created to be black box meeting rooms. Provided design and concept at the tender stage for our client. On being awarded the project we took on a full project management role which entailed the supply of all luminaries to required deadlines. ECI Lighting worked very closely with the electrical contractors to ensure that the installation of all luminaries was correct and satisfactory to the architects/client’s specification. We provide a full after-sales service from the point of hand over.